Would you like to positively transform your life and the lives of others? If so, then join us for this unique, ground-breaking, Positive Psychology Practitioner Certificate (PPPC). Positive Psychology is a life-changing science and we are the only course in which you will experience this transformative science under the guidance of the best in the field. We have chosen the most exciting topics in positive psychology: positive relationships, positive emotions, love, positive mindfulness, positive organizations, the science of happiness, positive education, positive coaching, meaning and purpose, the power of strengths, everyday heroes, positive health, and altruism. To teach these inspiring topics, we have carefully selected the most influential and exciting teachers within each area of positive psychology, creating an unparalleled list of world-leaders in this field. These teachers are also leading scientists in positive psychology, making the course both research-based and cutting-edge. To make it easier for you to be part of this incredible adventure, the course runs entirely online so that you can join us from wherever you are around the globe. The PPPC is for anyone who wants to apply positive psychology in their professional and personal life. It is valuable for coaches, teachers and other educators, nurses, therapists, yoga teachers, mindfulness teachers, clinical psychologists, HR, social workers, and anyone else who is working with people. The PPPC is an applied certificate, which means that it offers you a variety of practical tools, enriching your work and filling it with flourishing. Through the PPPC's different modules, you will be able to offer others positive transformation and support them through their change process. The same applies to you, on a personal level. The certificate will offer you the same invitation into personal growth, inviting you to meet yourself and fully live the potential within you. The tools offered as part of the PPPC are all research-based, so that you know you are offering yourself and others exercises and practices which have been tested scientifically and shown to be effective and inspiring. Our faculty comprises the most inspiring group of teachers you will ever find in a positive psychology course. Most people who see this list react with “What? They all teach together on the same course? That’s amazing!” We are not surprised we obtain such a reaction as we have worked hard to bring this incredible group of teachers together. We did it because we wanted you to have a meaningful and transformative positive psychology experience. These experts teach the most prominent topics in positive psychology, offering both recorded and live sessions. 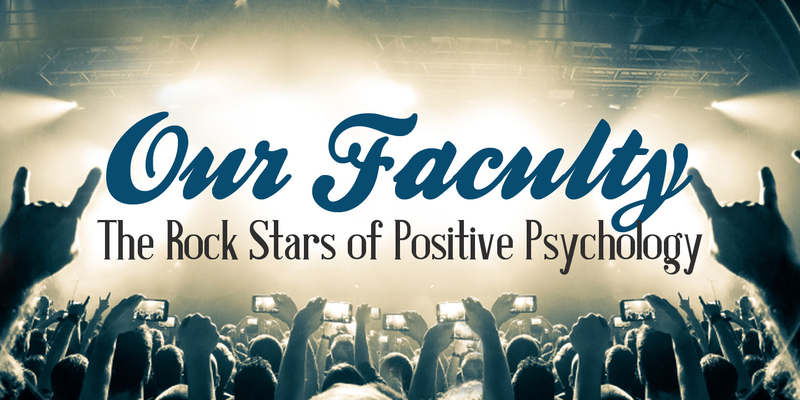 So, who are these rock stars of positive psychology, and what topics do they teach for our Positive Psychology Practitioner Certificate? As part of this module, you will be learning from the most prominent researcher and scholar within positive psychology. She is a Professor at the University of North Carolina at Chapel Hill and the Director of the Positive Emotions and Psychophysiology Laboratory (a.k.a., PEP Lab). Prof Fredrickson has revolutionized the way we think about positive emotions and love. Join this module to learn how to put her discoveries into action and enhance both your own well-being and that of people in your community. This module not only showcases some of the latest scientific work in the field of positive psychology from my own and others’ laboratories, it also highlights practical applications of this science that you can put to use immediately. Together we will “lift the hood” of positive psychology to discover the tiny engines that drive it. Positive emotions, often subtle and always fleeting, are remarkably consequential – psychologically, socially, and physically. Module topics include creativity and resilience, love and connection, flourishing and physical health. By taking this module, you will become conversant with leading-edge theories and evidence directly from the PEP Lab (Positive Emotions and Psychophysiology Laboratory), including work that measures the benefits of positive emotions for your heart and your immune system. Ryan Niemiec is the world’s foremost authority on the science, practice, and teaching of character strengths. Ryan is the education director of the VIA Institute on Character, an organization that leads the way in advancing the science and practice of character strengths. Ryan is an award-winning psychologist, annual instructor at the University of Pennsylvania, and Fellow of the International Positive Psychology Association. When it comes to Character Strength, Ryan Niemiec is the real deal. He combines his research, practice, and teaching of character strengths into an inspiring mix that has created a strong group of followers who learn from his wisdom and experience. You are a person of character. In fact, each of us is. Modern research shows that you have within you, to varying degrees, 24 strengths of character that make you “uniquely you.” These strengths include bravery, curiosity, gratitude, fairness, love, perseverance, self-regulation, and hope, to name a few. Imagine that! You have all of these qualities of goodness and strength within you. Some of these strengths may have already developed and flowered within you, and you are now expressing them strongly in your work and in your relationships. Other strengths may be dormant, waiting for you to notice them or to refocus your attention upon them. However, some strengths may have never gotten any deliberate attention from you and are now wilting away. Hundreds of research studies over the last few years have uncovered the many benefits associated with character strengths such as resilience, life meaning, work productivity, stronger relationships, better health, less depression and stress, and greater happiness. 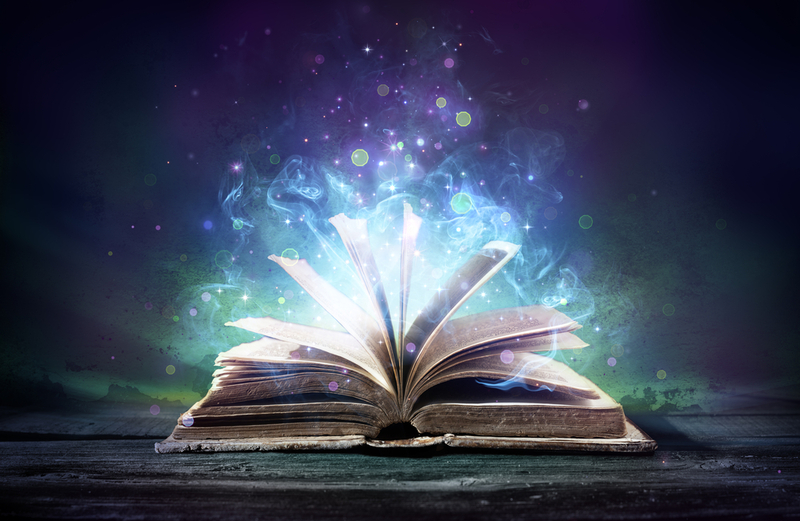 This module will help you understand what character strengths are, how they differ from other kinds of strengths such as your abilities, skills, and interests, and how to develop them to make the most of your life. There will be an emphasis on offering highly practical tools, grounded in science, that can be used immediately. 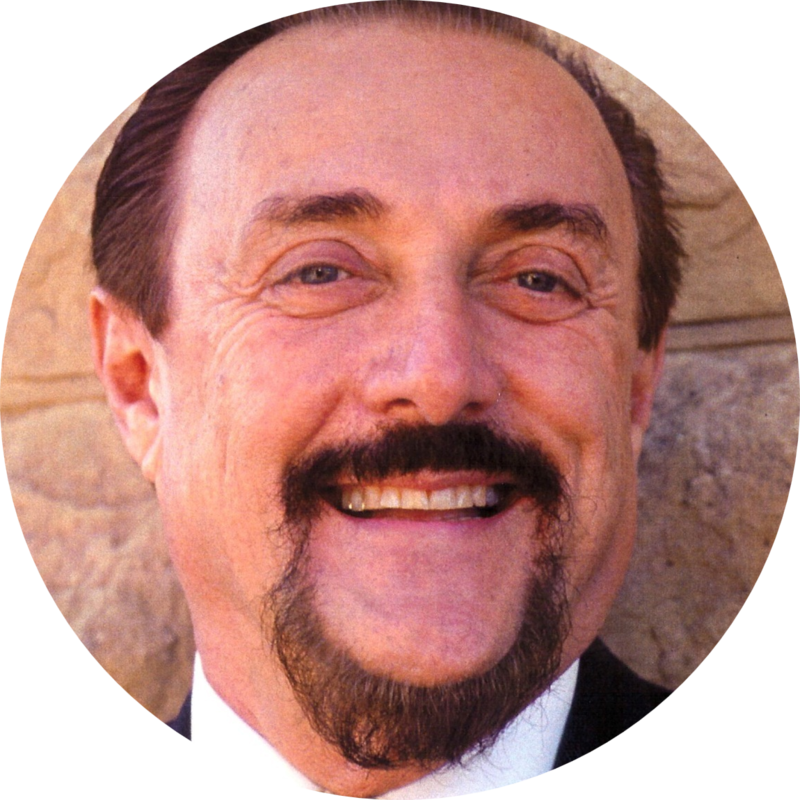 Philip G. Zimbardo is probably the most well-known living psychologist. He shocked the world with his Stanford Prison Experiment, providing fascinating new insights into social psychological processes and our understanding of human behavior. He is an internationally recognized scholar, educator, researcher and media personality, winning numerous awards and honors in each of these domains. Is it possible for ordinary people to become heroes? My Heroic Imagination Project answers that question with a resounding “yes”! I believe that virtually anyone, of any age and gender, can be inspired and trained to become an everyday hero. I have helped to construct a program designed to teach students more about heroism and to create the heroes of tomorrow. The Heroic Imagination Project (HIP) aims to amplify the voice of the world’s quiet heroes, using research and education networks to promote the heroic imagination in everyone and empower ordinary people of all ages and nations to engage in extraordinary acts of heroism. Join me in this module to learn about the characteristics of a hero and how you can encourage heroism within and around you. 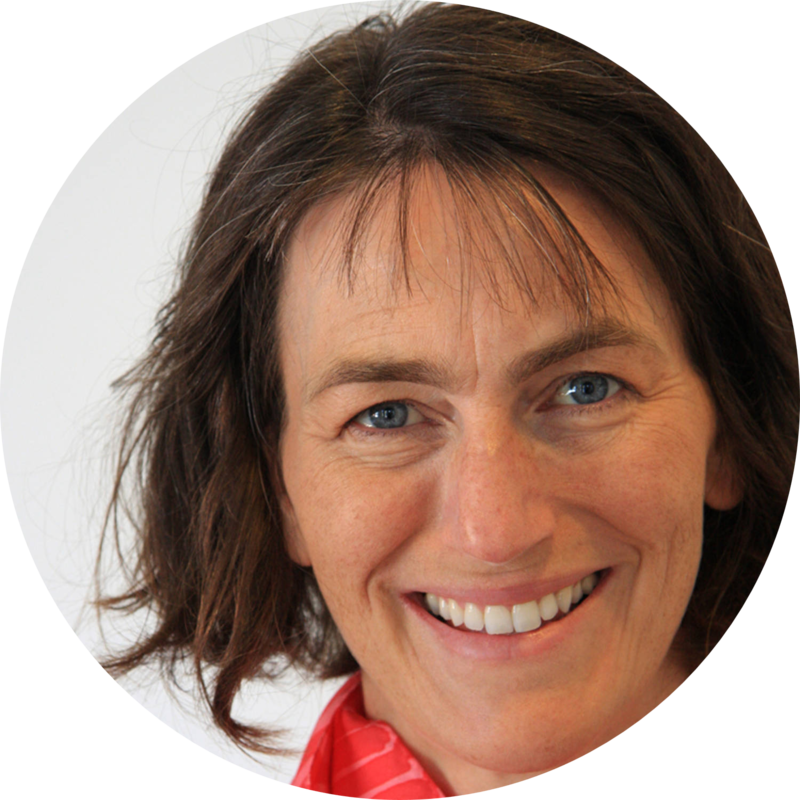 Professor Lea Waters is one of the most inspiring and influential scholars within positive psychology. As the president of IPPA (International Positive Psychology Association) she is responsible for taking positive psychology forward through innovative research and practice. Lea is a professor at the University of Melbourne and the founding director of the centre of positive psychology at the university. She is currently the world’s leading scholar on the integration of positive psychology and education. She works to bring this integration to children, teenagers, parents, schools, and organizations to enhance people’s mental health and enable them to reach their full potential. Positive education is an applied science that weaves contemporary research from positive psychology into educational practice with the aim of supporting student wellbeing. Join me for this module to explore the growth of both science and practice in positive education. We will explore how this field is spreading across the world and will discuss and practice three distinct PPIs (Positive Psychology Interventions) that are having a positive impact on student wellbeing and academic outcomes: gratitude, mindfulness, and strengths. Importantly, we will consider the ways in which these three PPIs can support the mental health and relational wellbeing of teachers and school leaders. One of the world’s top Organizational Psychologists, Kim Cameron is also the leading scholar on the integration of organizational and positive psychology. A Professor of Management and Organizations in the Ross School of Business, Kim has published more than 130 academic articles and 15 scholarly books. 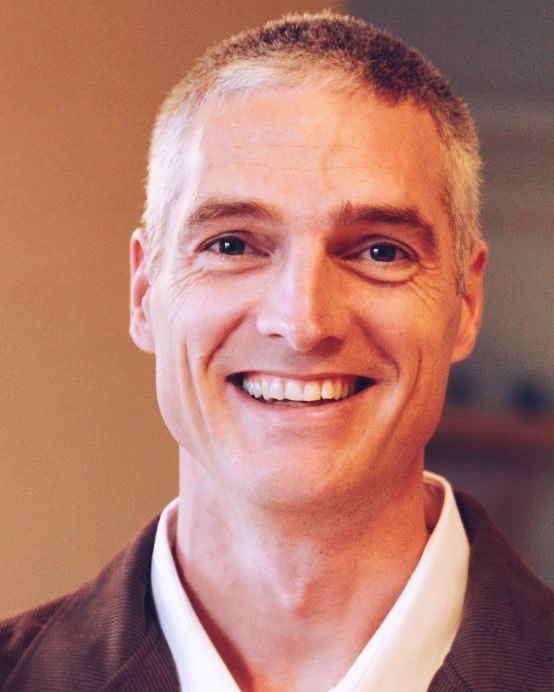 Through his innovative research, Kim Cameron teaches us about positive leadership and the application of forgiveness, gratitude, kindness, and compassion within organizations. In this module, you are invited to experience three main topics: the effects of positive leadership, the effects of virtuousness, and the effects of positive energy - each of which highlights the importance of positive practices in accounting for organizational and individual performance. We will also discuss case examples of the impact of positive leadership and explain why positive leadership leads to a dramatic improvement in organizations. Within this module I will present several empirical studies investigating the positive psychology factors that lead to significant improvement in multiple types of organizations. The overall goal of the module is to highlight some practically-applicable and empirically-based tools and techniques that can assist any organization in improving both performance and the wellbeing of employees. 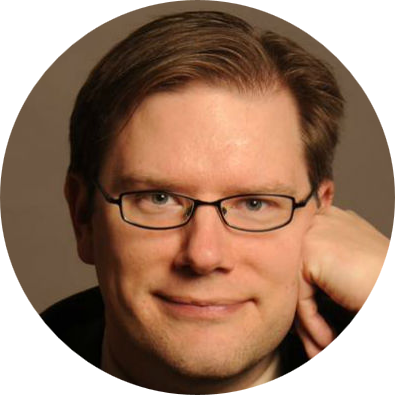 James Pawelski co-founded the Master of Applied Positive Psychology Program with Martin Seligman at the University of Pennsylvania. He is also the founding executive director of IPPA (International Positive Psychology Association). 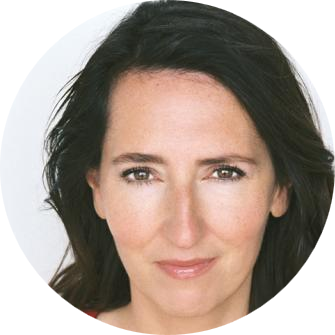 Suzie Pawelski is a well-being consultant specializing in the science of happiness and its effects on relationships and health. In combining their knowledge and experience, they have created an inspiring, research-based approach to the achievement of thriving and fulfilling relationships. We will explore how the science of positive psychology can help us strengthen our relationships. While the concepts we discuss can be applied to all kinds of relationships —those with our friends, family members, significant others, and business colleagues — many of the examples we use will come from our work on romantic relationships. The way relationships are often portrayed in popular culture does a disservice to many. For example, in fairy tales and films, lasting love seems to happen without any effort. However, in real life, research shows that it is healthy habits that lead to long-term love. In this module, based on our book, Happy Together, we will discuss how to practice using the principles of positive psychology to create thriving relationships. We will discuss the importance of finding and feeding the good in yourself and others rather than focusing on problems. In other words, we will focus on what is going well in your relationships, rather than on what is wrong. While sometimes it is necessary to work on fixing problems, many of us overwhelmingly focus our attention on avoiding and eradicating the things we do not like in others. We need to adopt a more balanced approach. It is equally as important to focus on seizing opportunities and cultivating what we do want in our relationships. In this module, you will develop key habits that will enable you to build stronger bonds and a love that lasts by learning the difference between a healthy and an unhealthy passion, understanding the importance of practicing positive emotions and savoring, and identifying your strengths and those of your partner and applying them to your relationship. Prof. Itai Ivtzan is a positive psychologist and a renowned mindfulness teacher. His work combines these two areas into a meditation practice that engenders deeper psychological and physiological wellbeing. Itai is a professor at Naropa University where he teaches and conducts research on the MA in Clinical Mental Health Counselling: Mindfulness-Based. As the author of dozens of research articles and five books, Itai adopts a contemporary and scientific approach to spirituality and its relationship with positive psychology. 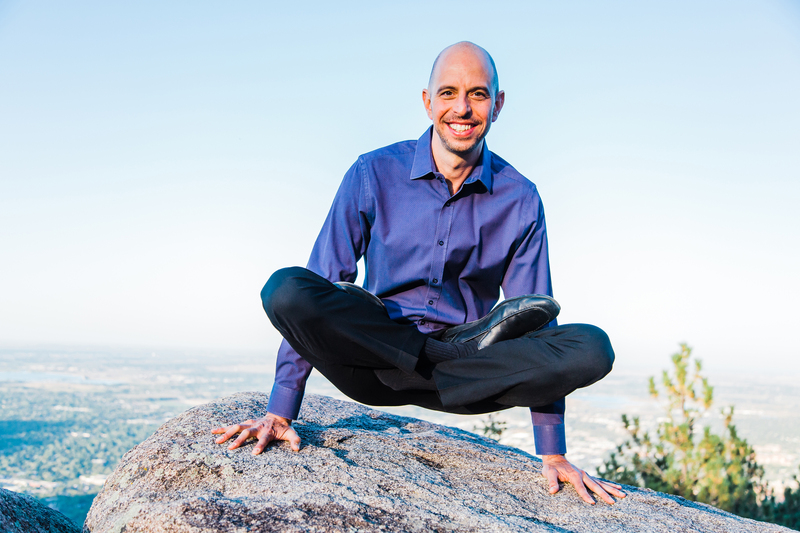 Twenty years of teaching and researching mindfulness meditation have led him towards an integrative approach with positive psychology that will inspire you to mindfully live your best possible self. Mindfulness meditation is one of the most popular interventions in psychology, interest in which has grown year after year. Positive psychology is the fastest developing branch of psychology, whose expanding journey into the investigation of human flourishing has attracted great interest. What happens when these two transformative disciplines are brought together? In this module, you will learn about fascinating points of convergence between mindfulness and positive psychology, including both theoretical questions and exciting practical exercises. We will explore various mindfulness programs focused on facilitating positive transformation, such as meaning, compassion, positive emotions, and gratitude. These programs are flourishing-focused, thereby embodying the spirit of positive psychology. The combination of mindfulness and positive psychology enhances the positive change each of these areas offers separately, providing you with an effective and practical approach to positive transformation. Antonella Delle Fave is a unique expert on the integration of positive psychology with health. She is an MD specializing in Clinical Psychology and a professor of Psychology at the Medical School, Università degli Studi di Milano, Italy. 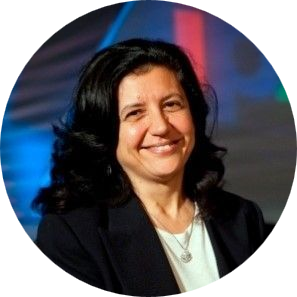 Antonella Delle Fave has contributed to the development of positive psychology as a founding member and President of the International Positive Psychology Association (IPPA), the European Network of Positive Psychology (ENPP), and the Società Italiana di Psicologia Positiva (SIPP). The traditional biomedical approach to health and disease predominantly focuses on the biological and thus objective aspects of health conditions. While this approach has given a great impetus to advancements in the medical sciences, its limitations were initially highlighted by Engel, who claimed the need for a bio-psycho-social model centered on the patient as a person with a cultural background and a subjective experience of health, disease, and quality of life. Several studies were conducted with the aim of identifying and quantifying subjective indicators of positive health, and intervention models were developed to preserve and promote health in the general population as well as in persons with chronic diseases, family caregivers, and helping professionals. This module will illustrate recent developments in this domain, specifically emphasizing the most relevant contributions provided by positive psychology in relation to health. 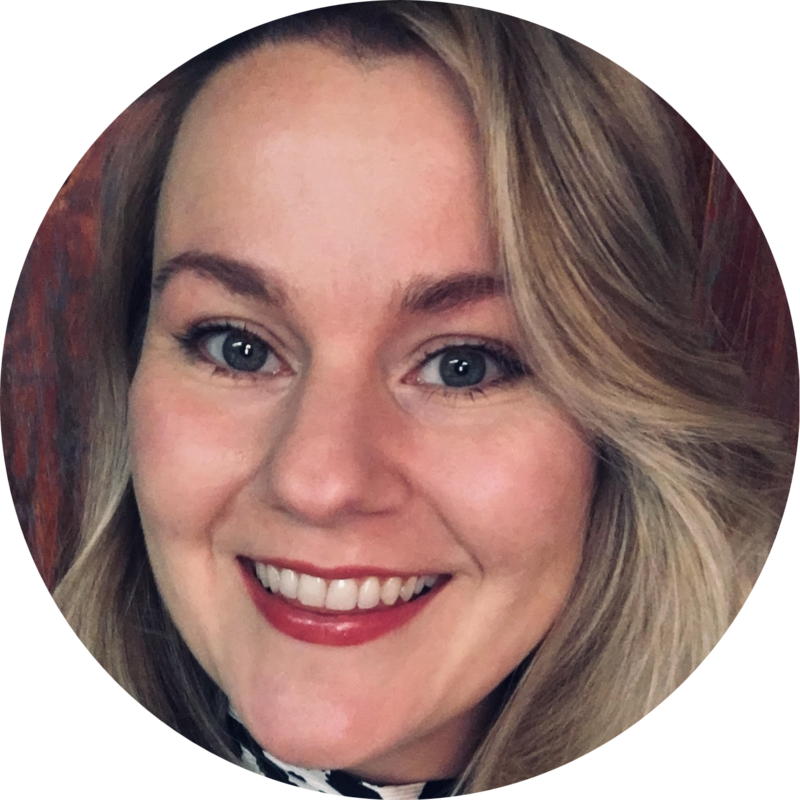 Dr Suzy Green is a Clinical and Coaching Psychologist (MAPS) and Founder of The Positivity Institute, a positively deviant organization dedicated to the research and application of Positive Psychology for life, school and work. 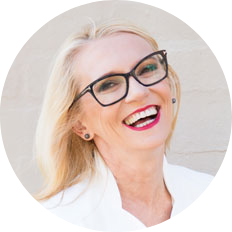 Suzy is a leader in the complementary fields of Coaching Psychology and Positive Psychology, having conducted a world-first study on evidence-based coaching as an Applied Positive Psychology. Suzy was the recipient of an International Positive Psychology Fellowship Award and has published in the Journal of Positive Psychology. Suzy lectured on Applied Positive Psychology as a Senior Adjunct Lecturer in the Coaching Psychology Unit, University of Sydney for ten years and is an Honorary Vice President of the International Society for Coaching Psychology. She maintains a strong media profile appearing regularly on television, radio and in print. The psychology of coaching provides the framework for implementing the intentional positive change strategies that lie at the heart of positive psychology. This module provides a comprehensive introduction to the psychological “mechanics” of positive coaching. We cover issues such as definitions of coaching, the relationship between coaching psychology and positive psychology, and the core positive psychological constructs that underpin the coaching process. Many people see “coaching” as just another positive psychology intervention - similar, for example, to a gratitude intervention. In contrast, this module centers on the idea that coaching, as a methodology for helping people identify and attain personally valued goals and outcomes, is a central but often misunderstood methodology for engendering positive change. We will explore the coaching process through the lens of self-regulation theory, discuss how to use positive psychology principles to enable ourselves and our clients to set energizing and motivating goals, and explore little-known aspects of self-reflection and self-insight - important positive psychology constructs that have not received as much publicity as (for example) well-being and gratitude. This module is both evidence-based and extremely practical. Whatever your relationship with coaching (no experience at all, or an experienced practitioner) this module will be relevant to you as it provides an understanding of the theoretical and practical relationship between coaching and positive psychology. 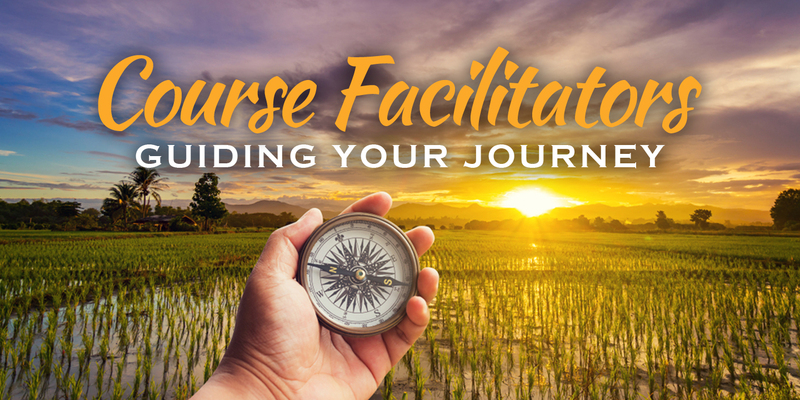 It will show you how to offer the precious materials in this course to yourself and those around you. Do you want a better understanding of your experience of happiness? If so, Sonja Lyubomirsky is the ideal teacher. An American professor in the Department of Psychology at the University of California, Riverside, Sonja is also the author of the bestseller “The How of Happiness: A Scientific Approach to Getting the Life You Want”. 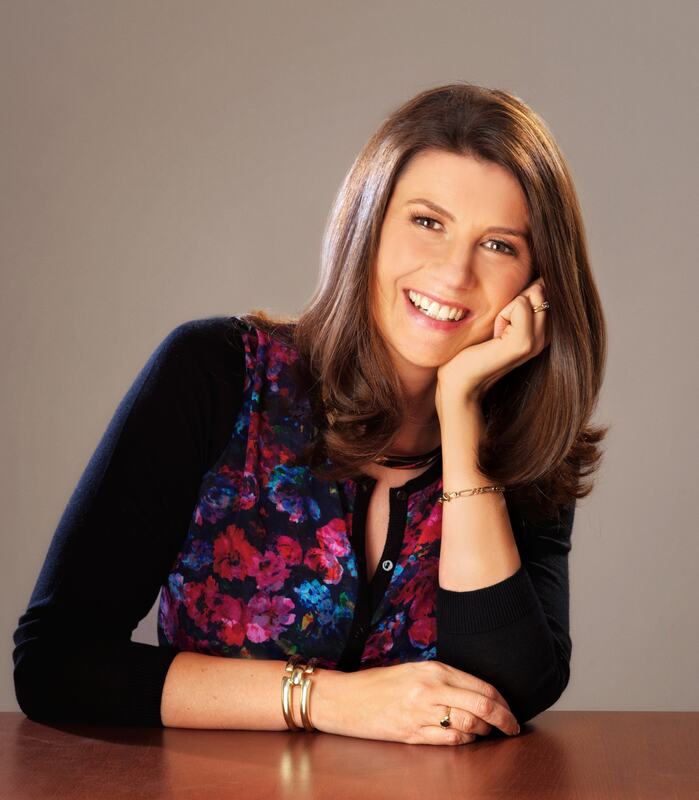 Her ground-breaking research on happiness has been referenced in hundreds of magazines and newspapers and she has appeared in multiple TV shows, radio shows, and feature documentaries. Happiness not only feels good; it is good. Happy people have more stable marriages, superior health, and higher incomes. Fortunately, experiments have shown that people can intentionally increase their happiness. In this module, I will first discuss the meaning and benefits of happiness and then debunk common misconceptions about the life changes that will make us truly miserable or truly happy. I will then describe both classic and cutting-edge research on the “how” and “why” of happiness—that is, when and why practices such as gratitude or kindness work “best” and how small and simple activities can transform people into happier and more flourishing individuals. As important caveats, I will also propose circumstances when engaging in ostensibly happiness-increasing activities may actually backfire. Finally, this module will discuss how pursuing happiness can improve more than just happiness. 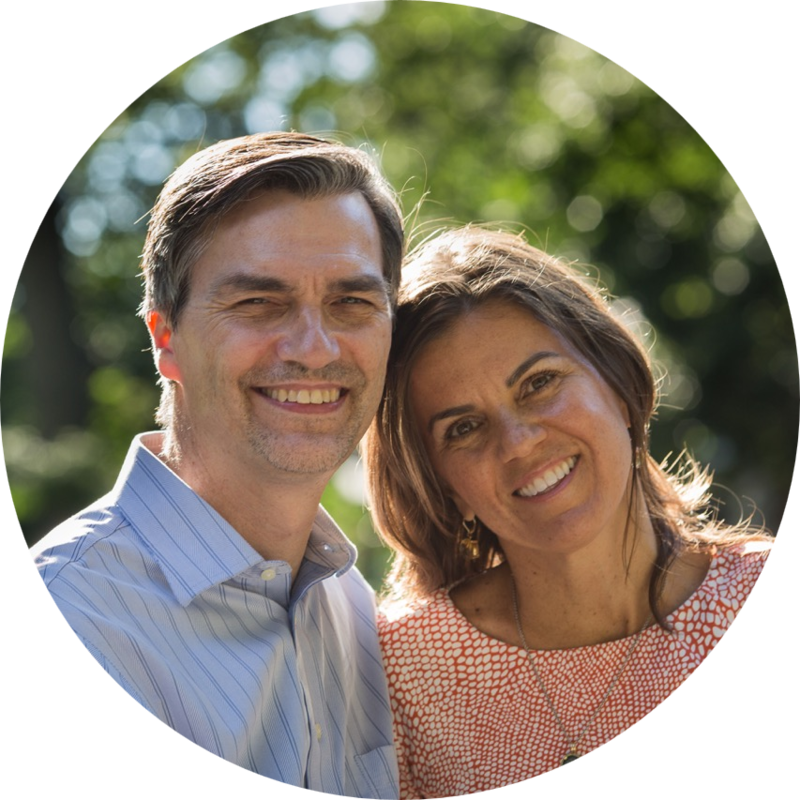 Mike Steger is the Master of Personal Meaning and Purpose. He is a Professor of Psychology and the Founding Director of the Centre for Meaning and Purpose at Colorado State University. For more than 15 years, he has researched how people flourish by living a meaningful life. 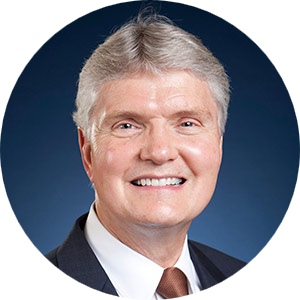 He has published more than 100 scholarly journal articles and book chapters, and three books, including The Wiley Blackwell Handbook of the Psychology of Positivity and Strengths-Based Approaches at Work and Purpose and Meaning in the Workplace. His work will invite you to embark on a personal journey of exploration to find your own personal meaning. This module examines theory and research on meaning in life, as well as exploring how we can look for meaning in our daily lives and our working lives. Meaning in life is the term psychologists use to talk about the extent to which people think their lives are filled with meaning and purpose. It is not about “the Meaning OF Life” – it is about our lives, each of us, one at a time, and whether we feel we have a life that is worth living. Research has clearly shown that people who feel their lives are filled with meaning and purpose are happier, healthier, and are likely to make more positive contributions to the world around them. We will consider the research that has established this body of knowledge, and also explore what is currently known about how to create more meaning in life. 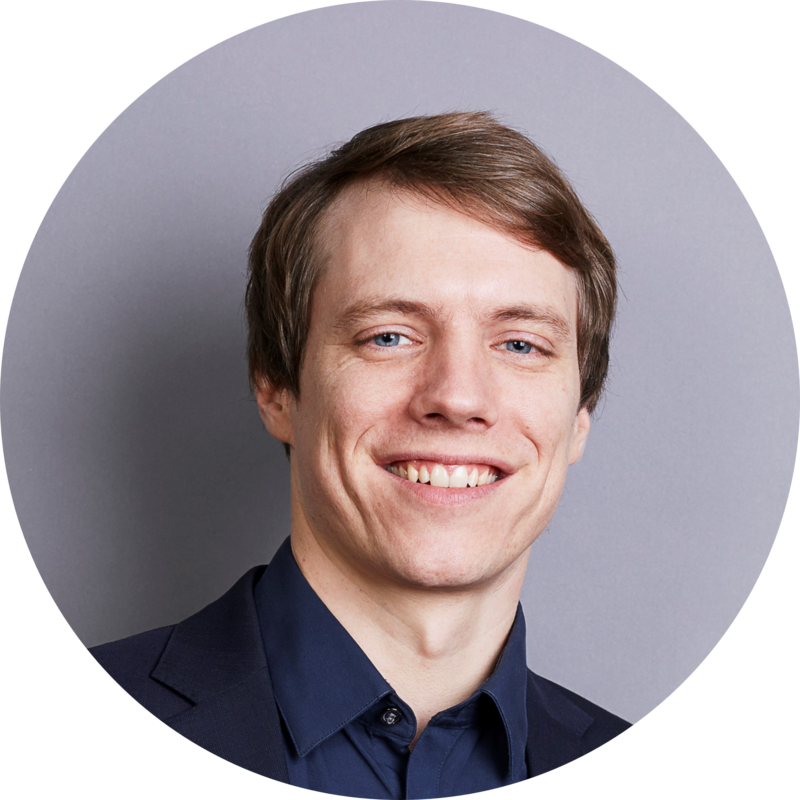 Very few individuals have one foot placed within science and the other in spirituality; Matthieu is one of those rare teachers. 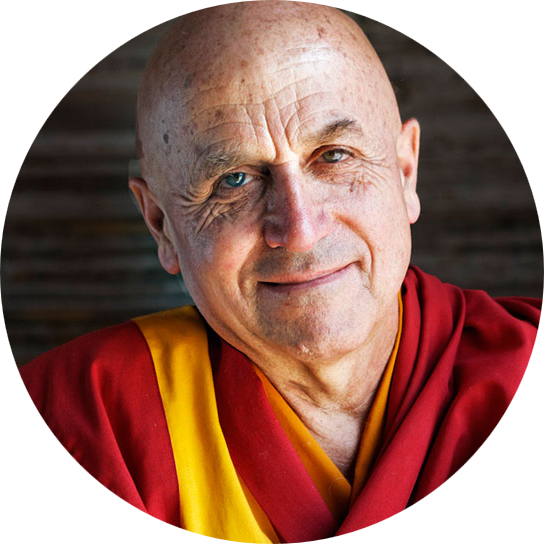 With a doctorate in molecular genetics and a fascinating record of scientific research, Matthieu has also become a Buddhist monk and a close associate of the Dalai Lama. His work around altruism and compassion is groundbreaking, and his way of being perfectly reflects the topic of compassion he teaches. Being motivated by altruism and compassion is the best way to accomplish a twofold benefit for others and for ourselves. On a personal level, this leads to a win-win situation. On a global level, altruism is the only unifying concept that allows the demands of short-term needs to be reconciled with the search for happiness and respect for future generations. Research in psychology has refuted the idea of universal selfishness, while neuroscience has shown that compassion can be trained as a skill. The science of evolution is increasingly recognizing the importance of cooperation. There are ways to overcome contrary forces (extreme individualism, narcissism, violence, etc.) and to bring about a more compassionate society through cooperative education, caring economics, sustainable harmony, and by increasing our consideration for other species and our environment. In addition to our incredible team of 12 module leaders, we also have course facilitators who will support your learning experience throughout the course, creating a cohesive and community-based learning experience. They are your guides on the journey of positive transformation. Our course facilitators are knowledgeable positive psychologists with years of experience teaching a variety of positive psychology topics. Yannick is an existential coach (MA), positive psychologist (MSc), coach trainer & supervisor and FMR Programme Leader of the MSc Coaching Psychology at the University of East London. He was part of the world's 2nd Masters programme in Applied Positive Psychology (MAPP Cohort 2) and has worked with some of the leading names in the field. Between 2015 and 2018 he lectured at the world's only MSc Applied Positive Psychology and Coaching Psychology (MAPPCP) and he has presented on positive psychology and positive existential psychology at conferences around the world. In the spirit of second wave positive psychology, Yannick's aim is to inspire those he meets and works with to think more deeply, live more courageously and develop existential resilience against the inevitable challenges of being human in a VUCA world (volatile, uncertain, complex and ambiguous). He works with coaches, leaders and anybody who considers themselves to be in a “position of great responsibility” willing to face life with their eyes wide open and eager to experience the full spectrum of human experience as the pathway to happiness. His book, An Introduction to Existential Coaching, will be published in May 2019 by Routledge. Hanna Kampman is an enthusiastic happiness intervention from Finnish Lapland. Her love for nature and moving is deeply rooted in the forests and lakes of Lapland. She works as a lecturer in positive psychology at the University of East London and her Ph.D. Research is focused on understanding the role of team sports in posttraumatic growth. She has published articles on posttraumatic growth, positive psychology, and sports as well as contributed to book chapters. Hanna lectures on various positive psychology topics and runs workshops in the area of wellbeing. 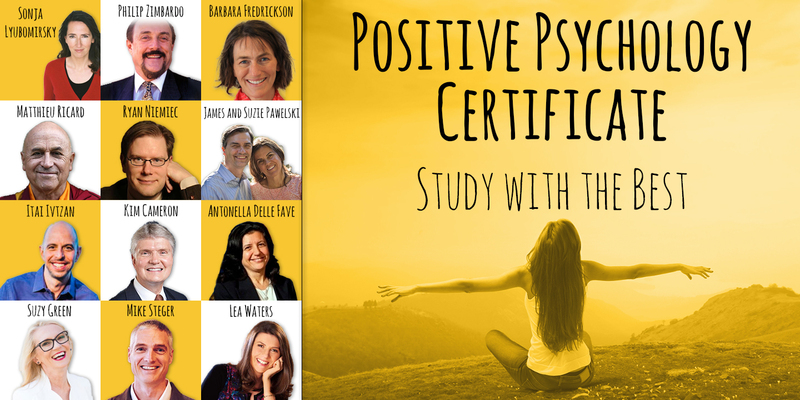 The Positive Psychology Practitioner Certificate (PPPC) is taught entirely online, allowing you to join from wherever you are around the globe. 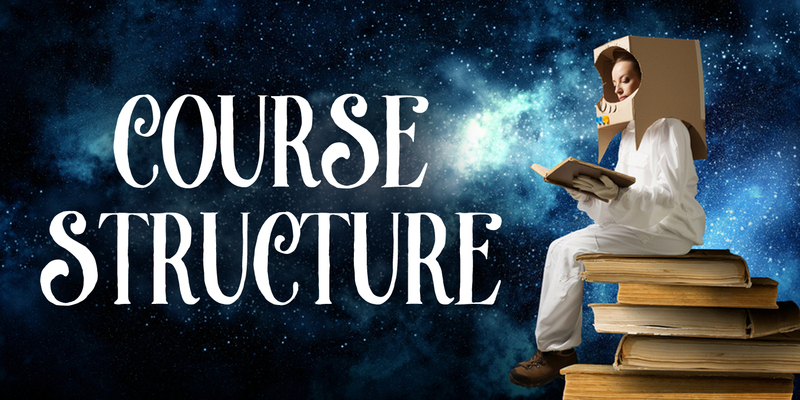 It is structured in a flexible way so that you can comfortably complete the course irrespective of your schedule. The course begins 1st of May 2019. The PPPC consists of 12 modules (each module is taught by one of our world-leading experts). Each module runs for 1 month, making the PPPC a 12-month course. Each module includes the module leader’s recorded lectures + a live session with that expert. Recorded lectures provide you with the knowledge, theory, and practice while the live session provides you with the opportunity to meet the expert live, online, and ask them any questions you may have. Furthermore, the module is filled with activities and exercises that will bring each of the topics to life, making it easy for you to apply the topic to your own life and the lives of others (e.g., clients, groups, students, friends, and family). This practical transformation lies at the heart of the PPPC, providing you with simple and yet powerful tools to create change. A series of activities and exercises relating to session 1. A series of activities and exercises relating to session 2. A series of activities and exercises relating to session 3. 1-Hour live Webinar with your Module Leader, providing you with quality time in which you can meet the expert and ask them any questions you may have. * If your time-zone is not one of those two, please use the times above to calculate the sessions’ time in your own time-zone. * Please Note: The day & time above are for the live sessions with your course facilitator (the first 3 weeks of every month). We will do our best to book the module teacher’s live session (week 4) at the same day & time. However, some of the teachers might need to choose a different time-slot as they live at different time-zones. We will let you know well in advance if a module teacher chooses a different time-slot for their live session. The Continuing Professional Development (CPD) Certification Service was established in 1996 as the leading independent CPD accreditation institution operating across the industry to review and accredit professional institutes and academic bodies. 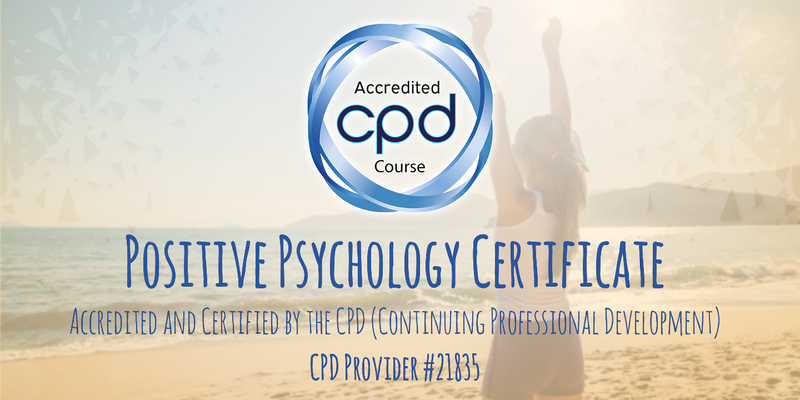 The Positive Psychology Certificate is an accredited CPD course. It means that the certificate has reached the required CPD highest standards and benchmarks. 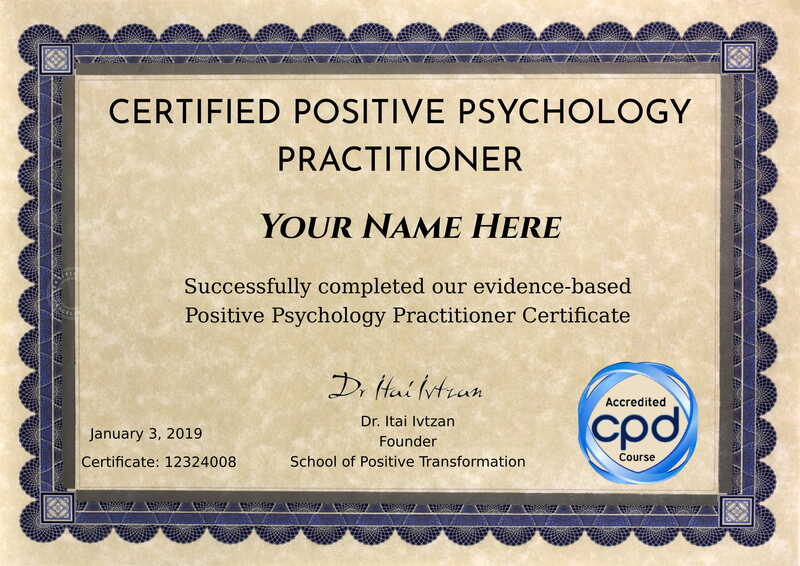 The CPD Certification provides your Positive Psychology Certificate with a recognized accreditation which is internationally respected all over the world. What will you get from the PPPC? This PPC is research-based, using contemporary scientific research. In fact, our module teachers are at the forefront of positive psychology research, shaping our knowledge and understanding of the field. This course is based upon their work, ensuring that the theory and practice we offer have been tested and found to be effective. What is the PPPC's Duration? The PPC takes 12 months to complete. Each month a different world-expert in positive psychology will offer his/her teaching and practice. What Day and Time are the Live Sessions? All live sessions are recorded, and you will be able to watch them anytime following the session. What are the PPPC's course Fees? 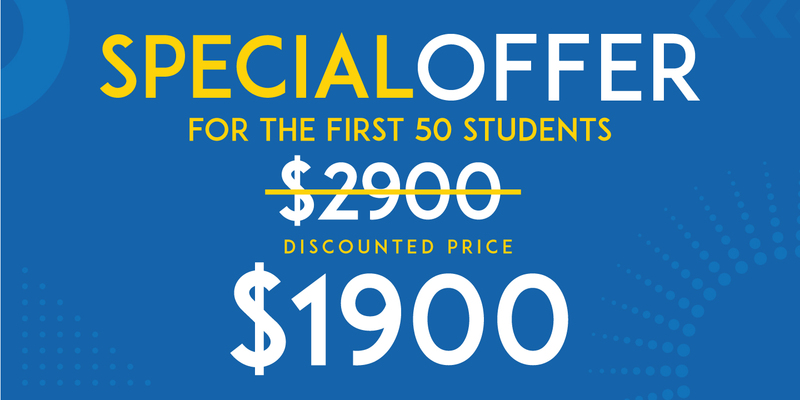 The course fees are 1900 US Dollars (for the first 50 students). If you pay with a different currency the fees would be converted automatically to your local currency. You can also choose a payment plan of either 2 monthly payments (2 X $990) or 4 monthly payments (4 X $525). Payments are made once per month (with the first one made immidiately as you enrol). Any assessments for the PPPC? As part of the course, you are going to complete the “Transform yourself, Transform the World” project. As part of this project, you are going to contemplate, write, and apply different ways through which you could live and express the modules’ content. In other words, this project invites you to find ways to convert the course materials into practical steps in your own professional and personal life. What about my Course Certificate? Once you complete all 12 modules you will receive a formal Positive Psychology Practitioner Certificate. Dr Itai Ivtzan is the Course Director of the Positive Psychology Certificate. 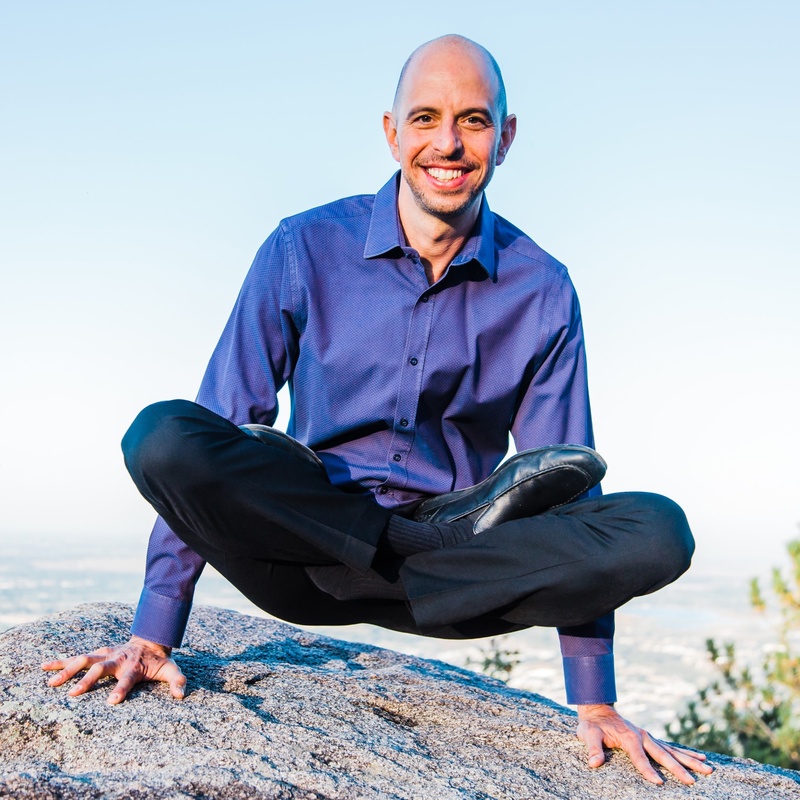 He is a positive psychologist and a mindfulness teacher and researcher at Naropa University. Itai believes that positive psychology is magical because it has the power to fill our lives with meaning, resilience, and joy. His approach is entirely research-based, making it well-grounded and applicable. Over the past 20 years, Itai has run positive psychology and mindfulness training courses, seminars, lectures, workshops and retreats around the world. He is a leading expert in positive psychology, written five books, and a regular keynote speaker at conferences. Most importantly, Itai loves creating transformational courses to provide you with a platform into positive change.